Over the past years, dental implants have become a popular and effective way of replacing missing teeth and are basically designed to blend in with your other teeth. In fact, many people consider them as an excellent long-term solution for restoring their smile. So, what is a dental implant? 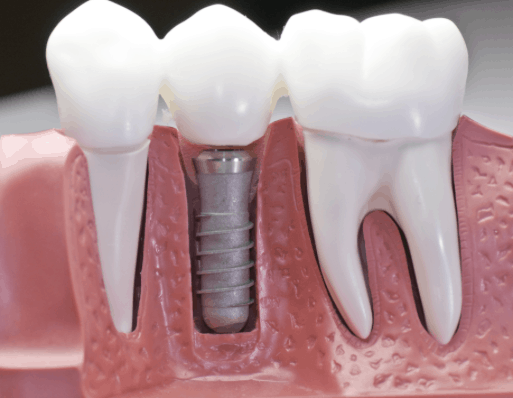 A dental implant is simply a kind of treatment where an artificial tooth root is fixed on your jaw in order to hold a replacement tooth or bridge. Dental implants in Tijuana are often a better option for those people who have lost a tooth or several teeth due to an injury, periodontal disease, or some other reasons. So, what does the dental implant treatment procedure involve? Let’s take a look at the procedure. First, the patient undergoes a surgery where the surgeon places the implant into the jawbone. The bone around the implant is allowed to heal in a process known as osseointegration (combines with the bone). In some cases, some patients can have implants and replacement teeth at the same time while others have to wait for several months before the artificial tooth can be attached to the implant. The final step involves the placement of the artificial tooth/teeth. It’s important to note that good health is required for the treatment. That is why it’s highly advisable to be medically evaluated before the implant surgery to avoid further complications. Diabetes, leukemia, and other chronic illnesses are known to interfere with the healing process after surgery and in that case, having the implants is not recommended. All in all, dental implants in Tijuana not only help replace a missing tooth, but also help improve appearance, promote good oral health, increase comfort, make eating less difficult, and help improve self-esteem. They are also durable and can last a lifetime with proper care and maintenance.